Subscription boxes have come a long way from fruit-of-the-month clubs. Many startups have adopted the subscription e-commerce model, in which curated boxes of products are delivered straight to a customer’s door every month. With so many options out there, you can find one to suit almost anyone on your holiday gift list. For startups, subscription boxes offer predictable recurring revenue and inventory control, as well as a clearly identified consumer market. For companies that are launching new products, partnering with a relevant subscription box startup can offer exposure and an easy testing ground for their products. For consumers, subscription boxes are an easy way to try new, curated products at a discounted rate. The success of companies such as Birchbox and Dollar Shave Club have also brought more competition and variety to the market. And let’s be honest: There’s nothing better than getting a box of presents every month. Here are five subscription box startups you have to check out this winter. Toronto-based company Peekapak is reinventing family playtime with a storytelling activity pack for kids. Every month, you receive an original storytelling book, as well as educator-designed storytelling tools, crafts and activities. The subscription box encourages families to read and play together. Peekapak has a holiday special going on right now! 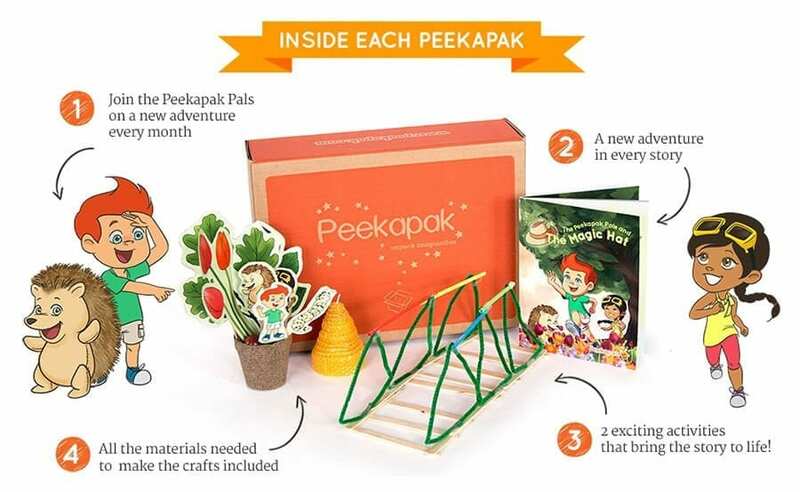 Peekapak offers monthly storytelling boxes to encourage play and learning for kids. Photo credit: Peekapak. If you’re a dog owner, BarkBox is the subscription box for you. Each box comes with several dog products that range from toys and bones to hygiene products and cool gadgets. A portion of the proceeds from the boxes goes to rescue programs and, to top it off, the company even has a PuppyFeed where subscribers can post pictures of their happy pooches with the BarkBox. While it’s too late to snag a box in time for December 25 in Canada, you can still subscribe to start receiving in January. BarkBox is a monthly subscription box for dog lovers. Photo credit: BarkBox. Nerd Block is a monthly subscription box service that sends curated gear, toys and collectibles for movie, toy, comic book and video game fanatics. Think Star Wars, “Doctor Who” and Marvel—or basically, ComicCon in a box. With a range of five packages to choose from, subscribers can find the perfect box to fit their nerdy needs. Being healthy just got easier. 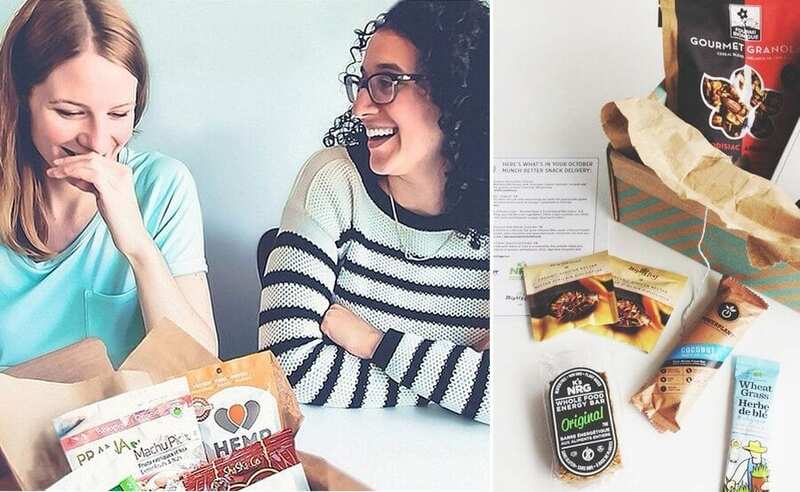 While there’s a slew of subscription boxes for the health conscious out there, Munch Better is a Canadian company that delivers healthy snacks. The snacks are made with non-artificial, non–genetically modified and mostly organic ingredients. Munch Better even offers snack packages for offices to keep your whole team fit at work. Give some gift subscriptions for the holidays—it’s the gift that keeps giving. 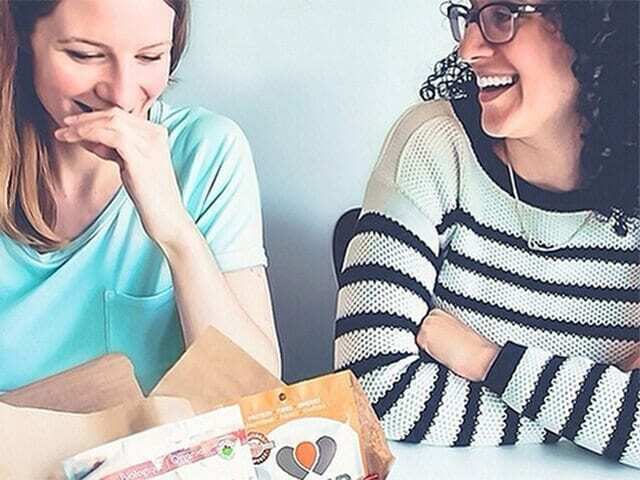 Co-founders Erin and Amanda launched Munch Better to provide subscribers with healthy snack alternatives. Photo credits: Munch Better Instagram and Twitter. If you or the person on your gift list are into good food and beverages, there are countless subscription boxes to try. It’s hard to choose just one! Parachute Coffee is a coffee service that sends subscribers boxes of locally roasted beans each month. Earlier this year, it also launched the Parachute Coffee Brew Kit program to give subscribers the tools they need to make sure the coffee they get is brewed to perfection. The startup has an awesome holiday gift service to give the ones you love their own taste of java. I’m going to slip one extra in here: If you’re looking to make a meal to go with your coffee, you have to try Fresh Canteen. The company’s box removes the worry of what to make for dinner by delivering recipes and all of the ingredients you need to make them right to your door. The company also has a gift special option, so you can help stock up someone else’s kitchen, too. 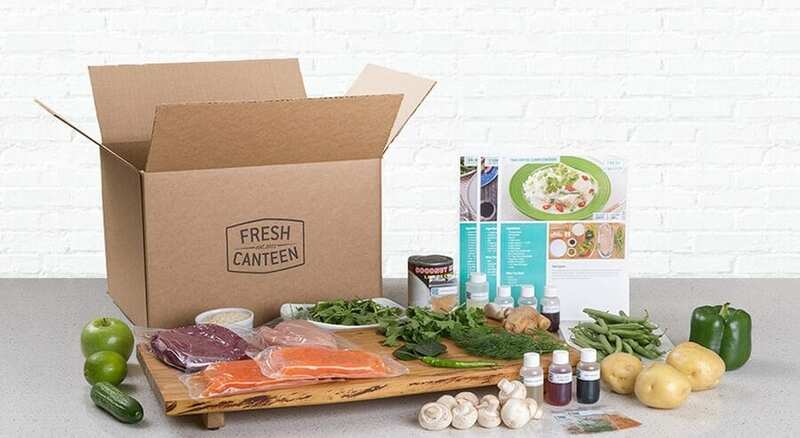 Fresh Canteen is a weekly subscription box that helps you make healthy meals with ingredients and recipes delivered to your door. Photo credit: Fresh Canteen.